Mr. Perl concentrates his practice in the areas of labor law and advocacy before the U.S. Court of Appeals, with extensive experience counseling organizations on remaining union free. He also focuses on arbitration and management training, offering a dynamic leadership development program for all levels of management. He has successfully argued cases before the United States Court of Appeals, and is admitted to practice before the United States Supreme Court. 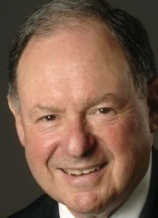 “We are delighted to welcome Arnold Perl to the firm. Arnold’s outstanding reputation as a preeminent labor lawyer and his unparalleled commitment to the Memphis community are a great fit with Glankler Brown. Arnold is a leader in every sense of the word and he will be a great asset for our firm and its clients,” said Glankler Brown Chief Manager Bill Bradley. Mr. Perl co-authored a business book, Simple Solutions, with Tom Schmitt from FedEx, published in 2006 by John Wiley & Sons, Inc. The book explains tried-and-true tactics and leadership remedies to reveal how complex problems may be broken down into simple components, harnessing the power of passion and simplicity to get results. Mr. Perl serves as Chairman of the Memphis-Shelby County Airport Authority, directing the decisions of Memphis International Airport, known as “America’s Aerotropolis,” a world-class facility serving more than 10 million passengers a year. He is Secretary and General Counsel of the Memphis Regional Chamber and Chairs its Regional Logistics Council. Mr. Perl also serves as Chairman Emeritus, Japan-America Society of Tennessee and Chairman Emeritus (Co-Chair) Southeast US/Japan Association. “I regard the opportunity to practice with Glankler Brown an awesome fit for my practice and theirs. It provides an excellent opportunity to make a greater difference in our community given their size, and diversity and broad scope of practice, locally and nationally. I am personally acquainted with the leadership team and have great respect for their vision and commitment to excellence. I’m hopeful that my association with Glankler Brown will provide great benefits to my clients and theirs,” said Perl. Frequently quoted by the nation’s top media, Arnold’s remarks have appeared in The Wall Street Journal, USA Today, New York Times, Chicago Tribune, LA Times, as well as Employment Law 360, Workforce Development Magazine, Daily Labor Report and Automotive News. He was recently featured in The Commercial Appeal article “10 for 10: Smartest things the Grizzlies have done,” for his work in developing the FedEx Forum in Memphis as chairman of the Public Building Authority. ABOUT GLANKLER BROWN: Based in Memphis, Tennessee, Glankler Brown, PLLC attorneys represent clients with matters throughout the United States and abroad. In addition to Tennessee, the firm’s attorneys are licensed in Mississippi, Arkansas, Alabama, Maryland, and the District of Columbia. With experience in more than 30 different areas of law, Glankler Brown’s attorneys deliver quality legal services to local, regional, national and international clients.